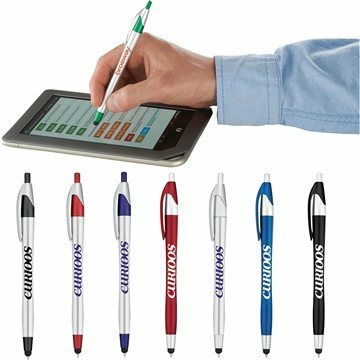 The Cougar Glamour Ballpoint Pen-Stylus has a retractable ballpoint with a soft rubber stylus for touchscreen devices. Our team loves them and our customers too! A great quality product for the price! Was the best team spirit builder ever! Thanks! it looks funny. the quality was excellent! Our customers where thrilled at the style!